When the choice comes to select the best HD CCTV cameras, the integrators, the installers, the end users, and the consultants are all in a fix. Deciding, which is the best HD CCTV camera for the night, for low light or for both is confusing. The installers have to determine, if the camera is integrated with an IK 10 rated housing or an IP66 rated housing or a full body housing. 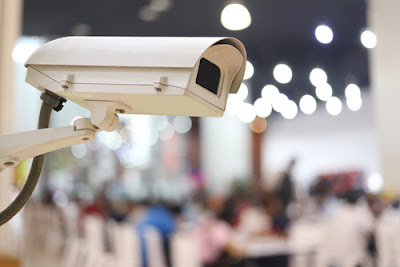 The other questions, which need to be asked while selecting the best HD CCTV camera is whether it will integrate with the third party VMS solutions or will it, be more efficient when integrated with the proprietary VMS solution. 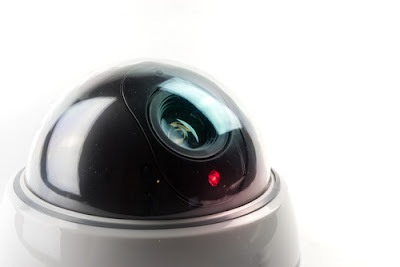 Determining the nature of the footprint; whether it is heavy or dark, does it cost a lot, and how easy is it to manage the internal setting of the camera are all important questions which need to be asked while determining the best HD CCTV camera. When one ponders over the questions, it becomes clear, that the process of choosing the best HD CCTV camera is not easy. The constant changes and innovations in technology mean that there is no clear definition of best. However, having said this, there are in fact two HD CCTV cameras that beat all other CCTV cameras. These are the Darkfighter CCTV camera and the Lightfighter CCTV camera. The cutting edge darkfighter camera uses a low light MP sensitive lens, which is specifically designed to capture the sharp colors and the monochromatic images in low level light conditions. The result is the clear color enriched images, which would defeat the low light CCTV cameras any day .The Darkfighter CCTV cameras include an extensive range of smart detection features like, Intrusion Detection, Smart Detection and face detection. It includes a Smart Tracking and electronic Image Stabilization feature and a defog ability, which makes it one of the most efficient cameras. The IP66 rating protects the Darkfighter. This feature makes it perfect for using in the rigorous outdoor environments during the day and the night. Usually when the night comes, the business could be a potential target, for the criminal activity. 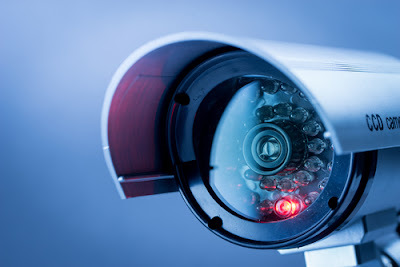 Using Darkfighter cameras secures the premises effectively 24 hours. The most impressive thing about the Darkfighter CCTV is its ability to record impressive quality images during the day. The Darkfighter exaggerates the available light so much that it becomes difficult to say how dark the scenes actually are while viewing them. The infrared Led lights are integrated behind the two panels on the front side of the camera so that it cannot be seen. The amazing thing about the Darkfighter is that at no time, does it go out of the color mode. Usually CCTV cameras go completely black and white. The Darkfighter stands up to its reputation to fight the dark and display crystal clear images even in low light conditions. - The camera is able to stream HD videos in 1080p with an impressive 23 times zoom depth , due to the 120 dB Wide Dynamic range and 3D digital noise reduction technology designed by Hikvision. - The darkfighter is ranked much higher than the other IP and PTZ cameras due to the electronic image stabilization and due to the smart tracking features of the camera. - The CCTV camera consists of many H.264 compression profiles, which allows the users to optimize the storage and the bandwidth without any compromising on the quality of the image. - The camera allows simple integration, with the previous video surveillance equipment and systems with support for PSIA, ONVIF and other CGI standards. When the images are viewed against a strong sidelight during the day, the images will not have any signs of blooming and any signs of flaring, when the lens zooms in and out during the night. Even if reasonable zoom is applied on the images, there are no signs of distortion. Hikvision is the Global leader in the field of improved video surveillance systems and products. The company reached new heights, with their innovative new, high contrast imaging as a specialty of the new Lightfighter CCTV series of cameras. The lightfighter series is a series of seven 2 Megapixel Smart IP CCTV HD cameras. Each of the seven cameras incorporate Hikvisions patent 140 dB wide dynamic range technology for effective industry leading high quality visibility in high or light contrast environments. The result is, clear, detail enriched images which could defeat the conventional CCTV cameras any day. Each of the lightfighter cameras are able to render high quality 1920x1080 High definition images, which are consistent at 60 frames per seconds without disruption. The light fighter camera boasts effective low light capability for the nighttime need for surveillance. The lightfighter series of CCTV cameras consists of 7 two megapixel cameras, which feature Hikvisions amazing WDR technology’s. This technology helps to overcome the discrepancies of imaging in the high contrast scenes and the extreme backlight scenes. The new camera models include the Smart IP box camera. The new model comes with 2 extremely effective outdoor bullet cameras and two other dome cameras. Pair of PTZ dome cameras, with an impressive 36 times zoom ability is also included. Each of the seven cameras in the Lightfighter range is able to render high quality premium videos. The impressive high definition quality makes the lightfighter series an ideal tool to use in high profile businesses. The main reason for the impressive performance of the light fighter series is the WDR technology, which enables the camera to record videos in detail, even when the intensity of the illumination is not high, backlighting is dark, and very bright lights appear in the field of view suddenly. The 140 dB WDR in the CCTV cameras of the lightfighter CCTV range provides a 100 times more powerful enhancement as compared to the standard 120 dB WDR systems in the conventional CCTV cameras. The Lightfighter camera is ideally suited for the situations involving intense backlight, where the camera can be adjusted to point at the possible points of forced entry like windows. The light fighter range is integrated with face detection, line crossing detection, intrusion detection and object counting feature, which enables the camera to detect any object that moves progressively and follows it within the coverage of the camera. Both the Lightfighter CCTV and the Darkfighter CCTV cameras are equipped with Hikvisions smart feature sets and Hikvisions professional video management software, which can meet the security demands of the industrial sector, banking sector and many vertical markets.